While teaching EFL in the UK this summer, I piloted a number of classroom activities getting students to use their (ubiquitous) mobile devices, for an upcoming book on mobile and handheld learning. Below is a very simple activity that can be linked to almost any topic to generate vocabulary, and to get students up and moving – and using their devices. 1 We were about to start a new coursebook unit with the topic of ‘water’. I wrote the topic on the board, and asked students what sort of things or objects they could think of relating to water. We added a few ideas to the board. 2 I asked the students to individually explore the school and/or grounds, and to take three photos of things connected to water with their smart phones. They were given a 10-minute time limit. 3 Once back in the classroom, the students shared their three photos in pairs, and compared whether they had taken any photos of the same things. (Because of the small size of smart phone screens, screen sharing activities work better in pairs rather than threes). 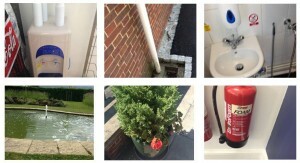 4 Students then chose the most unusual of their three photos, and shared it with the group. To do this we used Chirp, a free iPhone app – all the students in this group had iPhones. An alternative would be to set up a group in Whats app in order to share photos – it’s cross-platform and many students already use it. (Note: Chirp works via Bluetooth and doesn’t handle a lot of traffic simultaneously very well, so for large groups it’s not recommended). 6 Students then quickly skimmed the coursebook unit to see whether any of our new vocabulary appeared. And we then moved on a coursebook activity on water. This was a very simple activity that used the coursebook topic to get students out and about, and using their mobile phones to then support the further production of language. The students clearly enjoyed the activity – there are two of them in the school grounds taking photos at the top of this post. Note: This activity also forms part of a practitioner research project, commissioned by TIRF (The International Research Foundation). A paper examining design and sequencing of communicative language tasks with mobile and handheld devices, it will be published on the TIRF website by the end of the year. I will blog a summary of it when it’s published! What about you? 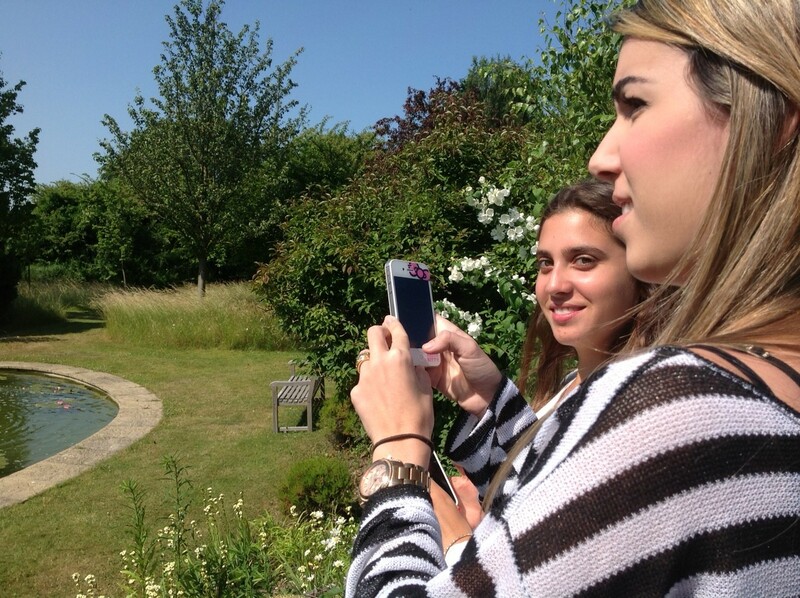 Do you get your students using their mobile phones to take photos as part of your language lessons? If so how? Do you think this is a good idea – or do you think mobile phones should be kept out of the classroom completely? Please feel free to leave a comment below.